Hawaii is the ideal vacation spot for people who wish to soak under the warmth of the sun or into the cold splash of pristine waters of the Pacific. But the Aloha State is more than the waves and the sandy beaches. It is also a perfect and most ideal place to begin a new life including your job especially if you are a dentist. And if you are not yet 100 percent convinced that Hawaii is the place to be, read on and find out why Hawaii is the best place to practice dentistry. Being a dentist is considered as the best healthcare job by the US News & World Report in its annual rankings of the best jobs in the United States. Overall, dentists placed second in the list for the year 2018. But if you are already in the practice of Dentistry, the next consideration will probably be where to practice. Dental Products Report took the liberty to provide you the answer. Among the 50 states in the United States, Hawaii ranked third as the best place to work in if you are a dentist. Based on the ten criteria including visits to dentist, median income, economic confidence, percentage of worried about money, percentage of uninsured, overall well-being, cost of living, education level of patients, violent crime per 100,00 population, and percentage of people on Medicaid, Hawaii scored a total of 132 points, tying it to third place along with Nebraska. Dentists are generally well-compensated. In fact, being a dentist is the ninth best-paying jobs for 2018 with an average salary of 173,860 US Dollars in 2016. In Hawaii, general dentists earn an annual average salary of 174,110 US Dollars, slightly higher than the national average. Regarding the place of employment, the Bureau of Labor Statistics reports that those working at the offices of dentists earn the most at 176,630 US Dollars. Those working in outpatient care centers and offices of physicians have an annual average salary of 152,810 US Dollars and 155,690 US Dollars, respectively. Meanwhile, dentists working in general medical and surgical hospitals are compensated at 138,480 US Dollars. Those working in state government, excluding schools and hospitals, receive annual compensation of 167,200 US Dollars on average. Dentistry has a relatively low unemployment rate at only 0.4 percent. The Bureau of Labor Statistics also predicts that employment will grow by 17.5 percent between the years 2016 and 2026. Additionally, Hawaii has the lowest unemployment rate in the United States with 2.1 percent. Based on these figures, the chances of securing a job as a dentist in Hawaii is optimistic. Being a dentist subjects you to an average level of stress. Still, the profession offers above average flexibility through the alternative working schedule and provides an excellent work-life balance. 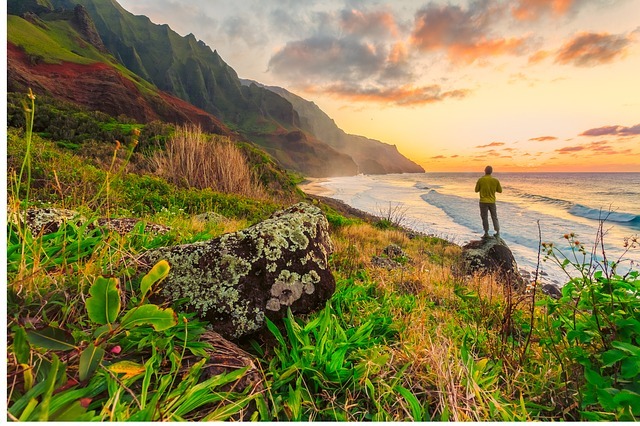 Moreover, Hawaii is known to be the least stressed and happiest state thanks to the Aloha lifestyle which takes life a little slower and allow for a more laid-back life. Additionally, Hawaii is a tropical paradise with the most scenic views and refreshing greeneries. When you are in Hawaii, daylight savings will not be your problem. The Aloha State does not advance their clocks during summer months due to the island’s location on Earth, making advancing the clocks unnecessary and redundant. Therefore, you need not worry about the confusion and you free yourself from the hassle. Aside from taking the perfect vacation in Hawaii, consider also living your life in the state where paradise and modernity collide perfectly, giving the right work-life balance lifestyle you are probably dreading to achieve since starting your job.